Dandruff is the dead skin cells that are shed from the scalp. It can be embarrassing to have these gross patches stuck in your hair, not to mention itchy and uncomfortable. Excessive dry or oily scalp are to blame while some fungus such as Malassezia may worsen the condition, for they eat away the oils that you need to keep the scalp healthy and cause it to shed more skin cells than normal. Fortunately, there are plenty of home remedies and daily tips for dandruff. 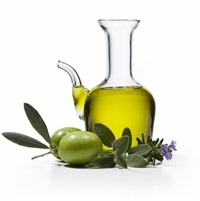 Olive oil can moisturize the scalp so it does not become dry and flake. Heat olive oil until it is lukewarm and then massage it into the scalp. Wrap a towel around your head and allow the oil to stay in place for half an hour, then brush the hair to remove any dry flakes and wash your hair like normal. Baking soda can help control growing fungi that may be causing your dandruff. Get your hair wet and rub baking soda into the scalp. Allow this to sit for a while before washing it away with plain water. Do not use shampoo after applying the baking soda. Repeated use of this treatment can help your skin start to produce the natural oils necessary to keep your scalp healthy. Vinegar contains acetic acid that will help kill off fungus or bacterial that is contributing to your dandruff. 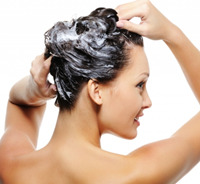 Combine three parts water with one part vinegar to wash the hair then rinse it away with lukewarm water. You can also place vinegar on your hair strands, wrap your head in a towel or shower cap to sleep and wash your hair in the morning. Lemon juice is very acidic so it can kill off any yeast on your scalp. 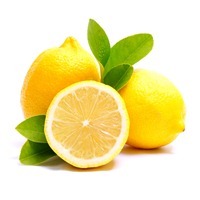 Squeeze a lemon and apply the fresh juice to your scalp, massaging it into the skin. Wash your hair like normal, making sure to use a conditioner as well. Mixing five tablespoons of coconut oil and a tablespoon of lemon juice and applying it to the scalp overnight can also provide good relief. Aloe Vera is commonly used to soothe skin and kill off bacterial or fungal properties that cause damage. Applying aloe Vera gel or juice to your hair, massaging it into the scalp before showering can help ease your discomfort and help eliminate dandruff. Thyme has antifungal properties and is an antiseptic. Combine four tablespoons dry thyme with two cups water and boil it for 10-15 minutes. Allow the mixture to cool and massage it into the scalp. Leave the thyme in place for five minutes, and then repeat the process. Two or three hours later wash your hair to remove the dandruff. Aspirin has acetylsalicylic acid that will help you control your dandruff. Crush two aspirin capsules and mix them into your shampoo. Massage this mixture into your scalp and allow it to sit for a few minutes before rinsing it away. You can also crush three aspirin tablets into a tablespoon of vinegar and massage it into the scalp. Leave this mixture in place for half an hour before rinsing it off. Here is a video of other home remedies for dandruff. Washing your hair regularly will help to remove excess oil that will allow Malassezia to thrive. It will also help you remove excess flakes that may be stuck to your hair. You may have a dandruff shampoo you can rely on, but they can lose their effectiveness over time because your scalp can build up a resistance to the main ingredients. Start a rotate of three different shampoos, using each for a month at a time to help avoid this problem. One wash can help you wash off loose dandruff flakes and clears out the scalp. Lather your hair a second time and allow the shampoo to sit for a few minutes so it can penetrate your skin cells to help remove more of the offending flakes. Tar shampoo has been used for over 200 years as a remedy for the scalp. These products have a strong odor and can dye lighter hair a darker shade but they are very beneficial for removing dandruff from the scalp. Make sure your diet includes plenty of B vitamins, zinc and healthy fats to help keep your scalp healthy. Exposing your skin to ultraviolet light can cause damage, so avoid spending too much time in direct sunlight. However, spending some time outdoors can help clear up your dandruff. Gels, hairspray, waxes or mouse can build up and make the scalp oilier, increasing the risk that you will develop dandruff. Being stressed can trigger a dandruff outbreak or worsen the symptoms you have. Make a point of using relaxation techniques to calm your system.